“What are you looking at?”, 33″ x 38″ (84 cm x 96 cm). 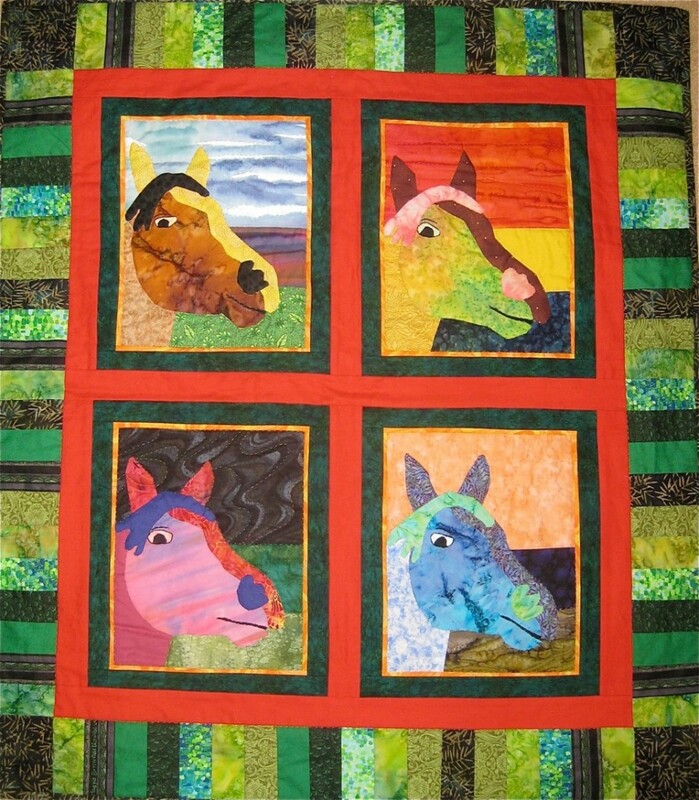 Horses were pieced and quilted by hand in cotton. Borders were stitched by machine. 4 1/4″ x 2 1/2″ (10.5 cm x 6.5 cm), Cross-stitched on Aida canvas. June 6, 2018 – "A Series of Series" Presentation at the Quinte Quilters Guild. November 4, 2017 – Zen Quilt Workshop at the Grimsby Quilters Guild. October 28, 2017 – January 9, 2018 – "Hogtown Kantha" at the Schweinfurth Memorial Art Center. September 21, 2017 – "A Series of Series" Presentation at the Grimsby Quilters Guild. June 14, 2017 – June 17, 2017 – "Hogtown Kantha" in the 2017 CQA/ACC National Juried Show at the International Centre in Metro Toronto.